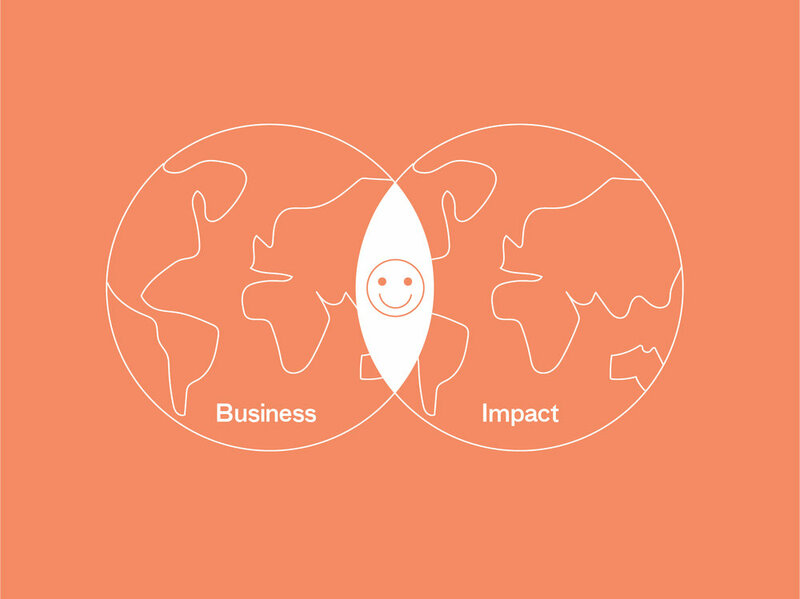 Objective models of impact, or social enterprise, are notoriously elusive beasts; they’re hard to find and even harder to replicate. Will Dayble, the founder of the Fitzroy Academy and a lecturer at the University of Melbourne, gives us an insight into personal standards for impact so that we can debunk some of the confusion about social entrepreneurship. Honestly, I’m tired of the definitional debate about what a social enterprise is or isn't. It’s every student’s first question, it’s written with deep conviction and contradiction in multiple books, articles and podcasts, and it’s often as irrelevant as every organisation is unique. Most hard, clear definitions of social enterprise are aligned with an accelerator, consultant, or writer who is trying to sell you something. Social enterprise is a profoundly schismatic, tribal place, perhaps purely as a function of size and maturity. Getting clear on who you are and how you operate can be more useful than picking up someone else’s flag (see Image 1). Here are a few spectrums I’ve used with varied success to help social entrepreneurs and their teams nail down what they’re all about. In the next 10 years, do you see the world as getting better or getting worse? How capable do you feel of personally affecting the future? Entrepreneurs are largely in the top right (see Image 2), with high optimism and agency. You’ll find many campaigners and activists in the bottom right, fighting the good fight. Where do you sit? Have you asked your colleagues, co-founders and network where they see themselves? Is there alignment within your team, or diversity and clarity on those differing positions? 2. Where do you sit on the spectrum? I’m in Ramez Naam’s court on the fiercely positive power of good ideas, and I like Matt Ridley’s approach to being rationally optimistic. Where, and with whom, do you sit? Models like blended value claim a transcendence over the ‘profit or purpose’ dichotomy, and they’re a beautiful thing. Business owners intuitively understand that businesses–social or otherwise–live in creative tension at various points along this spectrum and at different points in their lifetimes. Arguably, imapct investing perpetuates the very dynamics it claims to obviate, but that's a coversation for another day. Should you blitzscale your intervention to as many beneficiaries as possible to get more data on what works and what doesn’t, or should you go slow and gather results, at risk of never achieving escape velocity on your business model? It’s a similar balancing act to the growth-or-profit question, aka Telsa Inc. losing USD$2B in ‘17 and a staggering USD$700M in first quarter ‘18, all the while surging past BMW in market cap. But what happens first on the impact/business dilemma? Pretend you’re beginning tomorrow, with hard decisions to make and limited resources. What does day one look like? "In the next 10 years, do you see the world as getting better or getting worse? How capable do you feel of personally affecting the future?" 3. Do you nail cashflow first, or do you refuse to intervene without clear evidence of impact? Strangle that internal voice that rants about which approach is theoretically better and think about how you function most effectively. Would you nail cashflow first, or do you refuse to intervene without clear evidence of impact? If you must do both, what else gives, and does your runway allow you enough time to get that done? Given the opportunity to start afresh, what happens first? Spectrum 3: Upon whose shoulders? Think global act local is a grand idea. However, there’s nothing wrong with thinking and acting local, especially if you’re running a cafe, working directly with people, or building momentum for lasting political change. Arguably, good community integration and grassroots work is the best way to scale anyway. On the flip side, organisations like VisionSpring’s Eyelliance are deliberately working at scale from first principles on numbers that end in "illion"; they're directly trying to have a positive impact upon the 2.5 billion people, globally, that have impaired but correctable vision problems. So try this on: Who is responsible for making the change, and at what level? If it’s up to us and it’s local, we better have great connections with community. If it’s us but we’re acting globally, it’s likely a small team working via technology or platforms. Serving ‘them’ locally is a kind of activism that requires real social capital and working with and for them globally is systems entrepreneurship, a starkly different skill set. Young people often like being proximate to the problem for the tactile experience, and still have the ego to believe they can immediately work at a global level. The effective altruism crowd, on the other hand, are happy to let other people do the work as long as it’s objectively important work. 4. Are you patient or impatient? Systematic or passionate? Scale-first or locally linked? How many selfies per day make you happy? This dichotomy gets pointy when cash is involved. Different fund managers pattern match against these criteria habitually and it’s a good litmus test for beginning a relationship. In Australia, the Telstra Foundation have a great track record of funding platforms like Chuffed. Mulago, who fund high performing organisations that tackle poverty, are the best of their kind but straight up won’t fund a broad platform approach. To quote their program manager directly they work “exclusively on high-impact, scalable solutions to extreme poverty”, so you better be in country where they can get in a jeep and visit the communities that you serve. Personal clarity on the proximity and immediacy of our daily grind is useful, and it can easily dictate where you’re likely to get money and support. Are you patient or impatient? Systematic or passionate? Scale-first or locally linked? How many selfies per day make you happy? This article has done its job if you're now aware of where you sit on the "spectrums are unhelpfully reductive" spectrum. Are you comfortable helping a lot of people a little bit, or a few people a great deal? Is it about leadership or followship, leaving a legacy or leaving a dent? How intractable must a problem be before you’re willing to work on it, and what right have you earnt to work on that problem? Comparing our ‘once upon a time’ with the ‘happily ever after’ of whomever is on stage at the purpose-a-thon festival can be dangerous. That’s her flag, not yours, and their ideas, not ours. There’s also more than enough "me too" innovation, and humble replications of proven work might just be the best route to impact at scale. This is particularly true when impact investing, as I've already mentioned, may reinforce the very same power dynamics it claims to alleviate. So many social enterprises are the physical manifestation of a founder figuring out who they are and what world they want to be a part of. Let’s not forget that the work we inflict on the world is often the logical extension of the work we do within. Will made his first dollar selling stolen lemons at age 6. He is a university lecturer and also the founder of the Fitzroy Academy, an online social impact school. The academy works with students and educators to teach people about entrepreneurship and social impact. "So many social enterprises are the physical manifestation of a founder figuring out who they are and what world they want to be a part of."